PIK INDIA Industries manufacturing Hard Polymer Heavy Duty trolley Wheels & Pulleys for any kind of Material Handling Equipments like Hand Trolleys and Hydraulic Pallet trucks. We have perfected the molding process of UHMW-PE commonly known as Hard Polymers, due to our long experience in this line Very recently we have shifted our factory to a new and larger factory building where we have installed 10 nos of fully Automatic Hydraulic Presses varying from 300 tons to 600 tons. These presses are equipped with temp. controls, pressure controls systems enabling us to produce quality and quantity products at economical prices. We have our own tool room for mould fabrication & wheel fabrication for fixing ball bearing etc. as per customers requirements & demand. 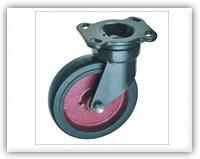 We can supply these wheels inserted with Non Detachable Cast Iron Hub during molding. 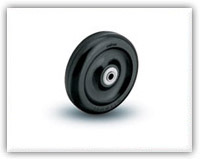 We are supplying these wheels in many shapes and sizes to suit individual's requirements. 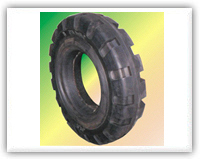 We are maintaining stocks of wheels as well as raw materials and have all facilities of pulverisers etc. therefore we can supply bulk quantity in shortest time schedule.
" 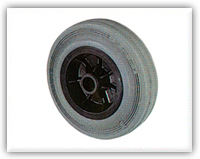 PIKINDIA Leading Indian manufacturer, manufacturers and exporter, exporters of Castor Wheels, Caster Wheels, Polyurethane Wheels, Trolley Wheels, Load Wheels, Load Rollers, Heavy Duty Wheels, Industrial Wheels, Industrial Casters, Steel Wheels, Iron Wheels, Medium Duty Casters, Polypropylene Wheels, UHMW Wheels, Unbreakable Wheels, Nylon Wheels, Cast Nylon Wheels, Nylon Casters, PU Coated Wheels, Pallet Truck Wheels, Drive Wheels"
Copyrights ©2009 - 2010 All Rights Reserved by pik india.